MMixtape Notes To The Shadows is a collaborative mixed media exhibition that uses art to show the complex process of healing. How do you trap a shadow? How do you hold onto to something that slips out of your hands and appears when you step into the light? In Ghanaian society, which is predominantly patriarchal, issues like sexual violence and harassment are treated as shadows, suppressed and left to brood in the dark, unspoken and unaddressed. Despite the undocumented number of people who are tormented by these shadows, it’s hard to confront something that society does not believe exists in the way that you experience it. 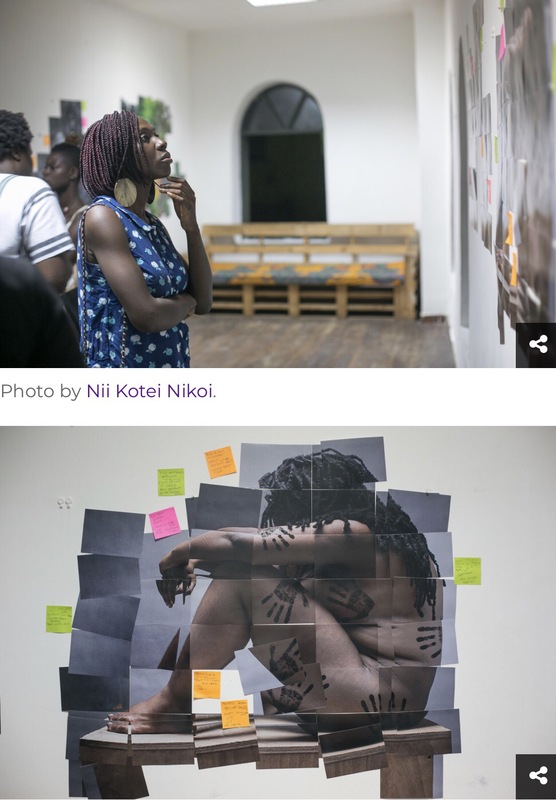 Dr. Sionne Rameah Neely and Josephine Ngminvielu Kuuire, who are artists and survivors of sexual violence, decided to draw out these demons and shadows by leaving notes for them through art. Mixtape Notes To The Shadows, their collaborative mixed media exhibition and performance, was an open surgery on sexual trauma inviting witnesses as they chart their respective journeys to healing. 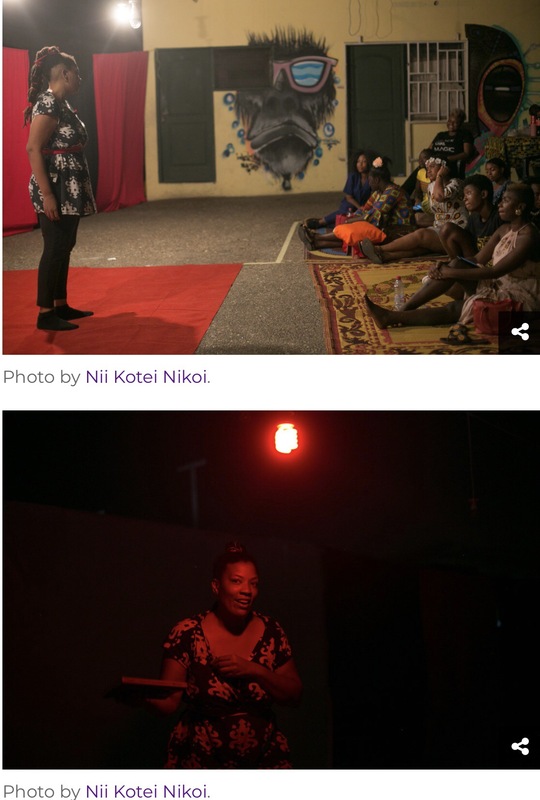 The show which opened on December 2 at Brazil House in James Town Accra, was a translation of the duo’s respective experiences with sexual violence, into photography, video art, performance and storytelling. Dr. Neely, a womanist researcher and co-creator of ACCRA[dot]ALT and co-director of the CHALE WOTE Street Art Festival, teamed up with Kuuire, a concept driven photographer and digital artist, to sculpt a narrative bookmarked by video clips of Sandra Bland and dragon Nancy Reagan, post-it notes addressed to themselves and the shadows, digitally manipulates self-portraits, lucid recollections of childhood events and a dramatic portrayal of internal battles with truth and reality cataloguing a period of personal growth from childhood to young adulthood both in the United States and Ghana.